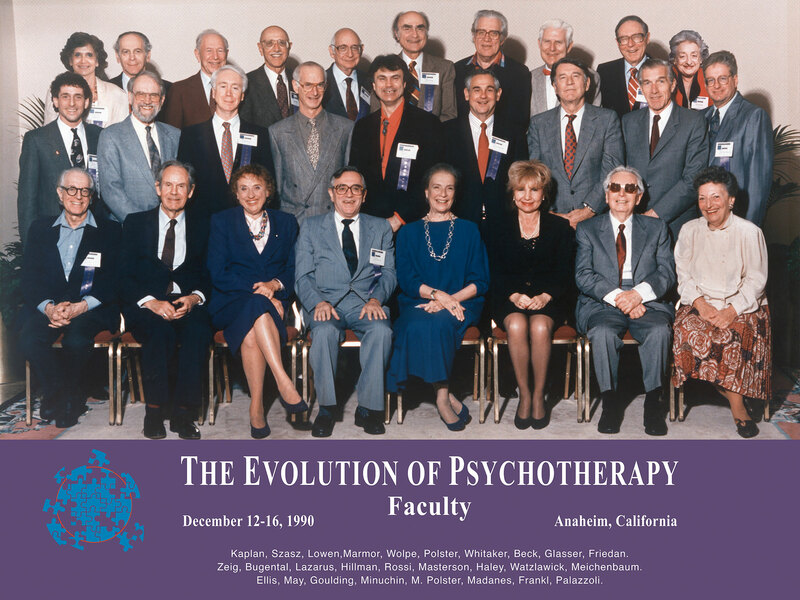 In 1985, The Milton H. Erickson Foundation sponsored the first Evolution of Psychotherapy Conference. Professionals from around the globe met in Phoenix, Ariz., for what was to become a landmark conference. Leaders in the field convened - many met for the first time. The result was important in developing concilience among schools of thought. Now, five years later, the movement continues. Advancing into the 21st Century, psychotherapists look to the future. And in Anaheim, important contributors will distill and transmit a cornucopia of experience to shape the evolution of psychotherapy. The Conference theme is "PsycheScapes: Positions and Projections'' through which the presenters can survey the "landscape" of their discipline. They will review and anticipate developments in the field of psychotherapy. Attendees can select from a number of training events including Invited Addresses, Workshops, Clinical Presentations, Panels, and Conversation Hours. Keynote Addresses also will be highlighted. Each morning of the Conference, faculty members will present one-hour Invited Addresses. After each address there will be 30 minutes for discussion of the address by another faculty member, and questions and comments from the audience. There will be two addresses per three-hour panel and two to three simultaneous panels running each morning. After lunch, there will be one-hour Clinical Presentations which can take one of two forms: faculty will either present a film or videotape of psychotherapy or supervision, or conduct a live demonstration of psychotherapy or supervision. Dialogues will give faculty an opportunity to discuss topics in a "debate" format. Conversation Hours provide an opportunity for discussion between faculty and attendees about topics of mutual interest. Concurrently with Panels, Dialogues and Conversation Hours, a second track of three-hour Workshops will be held for those who prefer to work extensively with one faculty member.